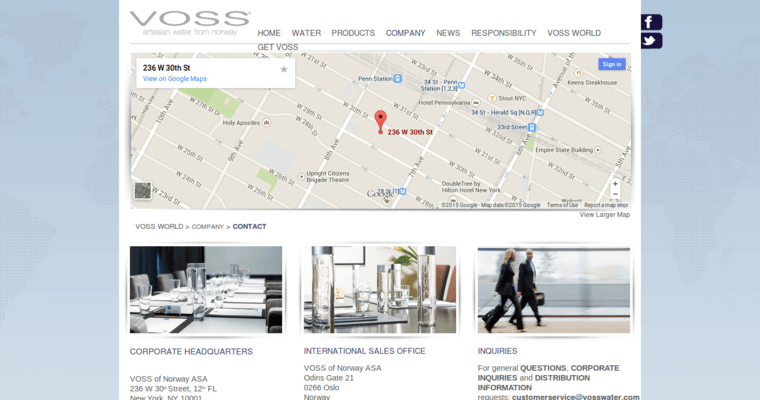 Voss is the name of an exotic water brand company that is based out of Norway but sold to customers across the world. 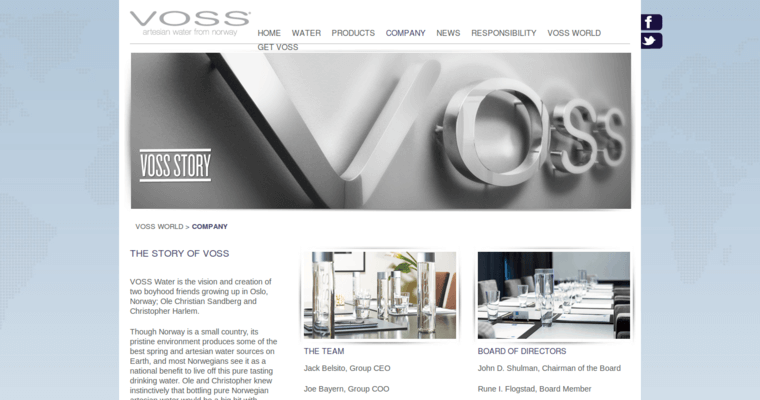 Voss Water is a product created by Ole Christian Sandberg and Christopher Harlem, two brothers who have their origins in Oslo, Norway. 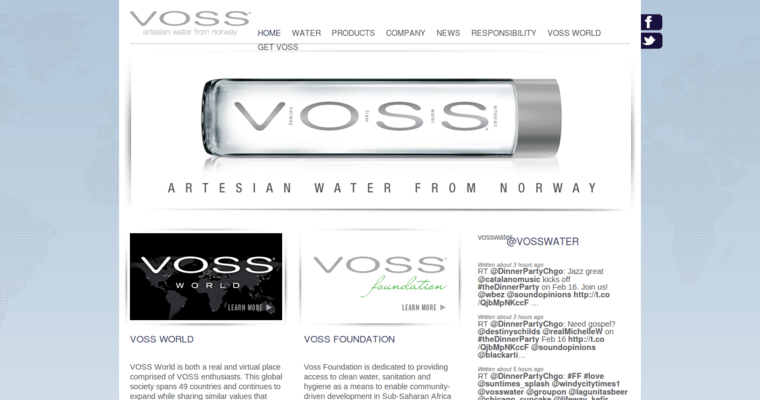 The water brand, which is now accessible in over 50 countries, is sourced from the pristine and natural wilderness in an area in southern Norway. The water starts off as rainfall and makes its way to the ground, seeping through several layers of rock and being filtered by it from chemicals and other harmful substances. It eventually settles into an underground aquifer, protected from substances like pollutants and then extracted and bottled at the source. Because it is situated here, the water has a fresh, clean taste. The water is also completely unprocessed, which makes it very rare to have unfiltered water of this quality.